DeLay achieved a respectable 95.39 percent rating in Congress from the American Conservative Union after serving 21 years. He became a born-again Christian in 1985. This combined with moving up to the powerful position of Majority Whip followed by House Majority Leader explains why the left came after him so viciously. He is far from a criminal, but rather a kind and decent man. He and his wife founded a Christ-centered foster community called Rio Bend near Richmond, Texas. They fostered three boys themselves. The targeting of conservative DeLay for political reasons began way back in 1996. DeLay told WND’s Jerome Corsi that “Nancy Pelosi and Patrick Kennedy, then a Democratic congressman from Rhode Island and the chairman of the Democratic Congressional Campaign Committee, announced publicly that they were going to take me out of politics.” They filed ethics charges against him in 1996 and 1998, which were both dismissed. Democrats next filed more ethics charges against him in 2011, followed by a racketeering charge in 2012 - all dismissed. While House Majority Whip from 1995 to 2003, DeLay established a congressional leadership federal political action committee called Americans for a Republican Majority (“ARMPAC”). The purpose of the PAC was to elect more Republicans to the Texas House of Representatives in 2002, in order to affect redistricting so Republicans would get more seats in the U.S. House of Representatives. In 2002, Earle filed criminal charges against DeLay for allegedly laundering $190,000. The money had been transferred from ARMPAC to another committee, where it was then donated to candidates in Texas. Earle claimed that since the donations ultimately went to candidates, instead of things like administrative expenses, money laundering occurred. While it is illegal for corporations to contribute directly to a candidate, it is not illegal per se to contribute to a PAC, which then contributed to candidates - especially if both parties did not “knowingly” violate the law. The corporate entities, which included Cracker Barrel and Sears and Roebuck, had consulted with their legal departments and determined the donations complied with all laws. Eight long years of trial later, DeLay was convicted in 2010 by the trial court, and sentenced to three years in prison plus probation. He appealed, and the first appellate court overturned the conviction last month, ruling that the evidence in the case was “legally insufficient to sustain DeLay's convictions.” But the politically motivated prosecutors wouldn’t let up squandering taxpayer dollars, appealing the verdict up to the next court, the Texas Court of Criminal Appeals. Just a few days later, perhaps to make a statement, that court - the final court for state crimes - issued an 8-1 ruling affirming the lower court’s dismissal of the conviction, acquitting DeLay of all criminal charges. Both appeals courts held that there was no evidence that either the contributors or ARMPAC knowingly made and accepted illegal contributions. The second court reiterated the lower court, opining, “...the State’s evidence failed to show that the corporations harbored the requisite intent to violate Section 253.003(a) of the Election Code,“[g]iven the testimony of the corporate representatives [of the lack of any intent to violate Texas law] and the undisputed facts that the corporations could lawfully make donations to TRMPAC and TRMPAC could lawfully transfer the corporate funds out of state[. ]” It strains credibility that several large corporations with substantial legal departments and a lot to lose, would coincidentally all happen to knowingly break the law. This is all about trying to accomplish through the courts - even criminally - what the left has not been able to do at the ballot box. DeLay told WND, “What the Democrats did to me is right out of the pages of Saul Alinsky’s ‘Rules for Radicals … I’m very excited that I can now get on with my life, and whatever the Lord has got for me, that’s where I’m headed … Hopefully I can get a job. I am not a rich man.” He is now 67 and has not ruled out another run for office. The 18-year war waged by Democrats against DeLay has cost him an estimated $12 million in legal fees. Where is the apology from then-DA Ronnie Earle? 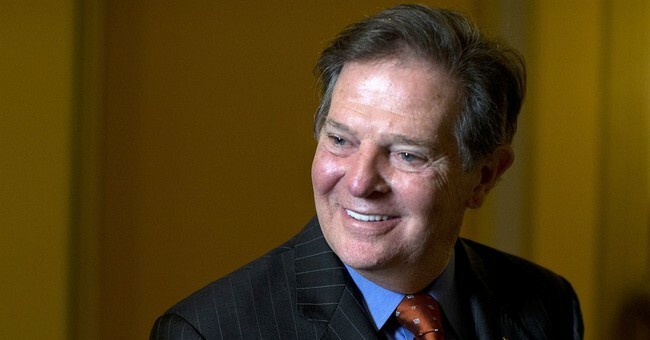 Tom DeLay is considering a lawsuit against the Travis County District Attorney’s Office for prosecutorial misconduct. Let’s hope he does, because until this targeting is stopped, it will continue against conservatives - especially those in Travis County.